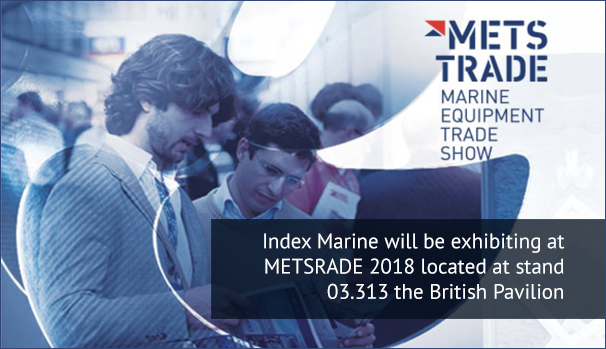 Home>METSTRADE 2018 – Index Marine will be exhibiting! Following on from the success of last year’s METSTRADE Index Marine will be exhibiting again this year. The 2018 METSTRADE Exhibition runs from the 13-15 November and we will be located in the British Pavilion stand 03.313. Our business development team led by Clare Coates will be attending the exhibition for the full three days. This year we will be launching several new additions to our product range developed for the marine industry and harsh environment applications. If you are attending or thinking of visiting the exhibition, we invite you to visit us at stand 03.313 for a chat about the industry and we will happily talk you through our product range. Register for FREE for METSTRADE 2018.